20th-century classical music describes art music that was written nominally from 1901 to 2000. This century was without a dominant style and composers created highly diverse kinds of music. Modernism, impressionism, and post-romanticism can all be traced to the decades before the turn of the century, but can be included because they evolved beyond the musical boundaries of the 19th-century styles that were part of the earlier common practice period. Neoclassicism, and expressionism, came mostly after 1900. Minimalism started much later in the century and can be seen as a change from the modern to post-modern era, although some date post-modernism from as early as ca. 1930. Atonality, serialism, musique concrète and electronic music were all developed during this century. Jazz and folk music were important influences on many composers at this time. Many composers reacted to the Post-Romantic and Impressionist styles and moved in quite different directions. The single most important moment in defining the course of music throughout the century was the widespread break with traditional tonality, effected in diverse ways by different composers in the first decade of the century. From this sprang an unprecedented "linguistic plurality" of styles, techniques, and expression (Morgan 1984, 458). In Vienna, Arnold Schoenberg developed atonality, out of the expressionism that arose in the early part of the 20th century. He later developed the twelve-tone technique which was developed further by his disciples Alban Berg and Anton Webern; later composers (including Pierre Boulez) developed it further still (Ross 2008, 194–96 and 363–64). 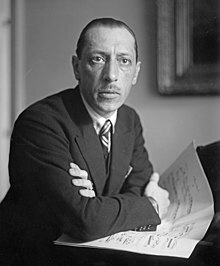 Stravinsky (in his last works) explored twelve-tone technique, too, as did many other composers; indeed, even Scott Bradley used the technique in his scores for the Tom and Jerry cartoons (Ross 2008, 296). After the First World War, many composers started returning to the past for inspiration and wrote works that draw elements (form, harmony, melody, structure) from it. This type of music thus became labelled neoclassicism. Igor Stravinsky (Pulcinella and Symphony of Psalms), Sergei Prokofiev (Classical Symphony), Ravel (Le tombeau de Couperin) and Paul Hindemith (Symphony: Mathis der Maler) all produced neoclassical works. Italian composers such as Francesco Balilla Pratella and Luigi Russolo developed musical Futurism. This style often tried to recreate everyday sounds and place them in a "Futurist" context. The "Machine Music" of George Antheil (starting with his Second Sonata, "The Airplane") and Alexander Mosolov (most notoriously his Iron Foundry) developed out of this. The process of extending musical vocabulary by exploring all available tones was pushed further by the use of Microtones in works by Charles Ives, Julián Carrillo, Alois Hába, John Foulds, Ivan Wyschnegradsky, Harry Partch and Mildred Couper among many others. Microtones are those intervals that are smaller than a semitone; human voices and unfretted strings can easily produce them by going in between the "normal" notes, but other instruments will have more difficulty—the piano and organ have no way of producing them at all, aside from retuning and/or major reconstruction. In the 1940s and 50s composers, notably Pierre Schaeffer, started to explore the application of technology to music in musique concrète (Dack 2002). The term electroacoustic music was later coined to include all forms of music involving magnetic tape, computers, synthesizers, multimedia, and other electronic devices and techniques. Live electronic music uses live electronic sounds within a performance (as opposed to preprocessed sounds that are overdubbed during a performance), Cage's Cartridge Music being an early example. Spectral music (Gérard Grisey and Tristan Murail) is a further development of electroacoustic music that uses analyses of sound spectra to create music (Dufourt 1981; Dufourt 1991). Cage, Berio, Boulez, Milton Babbitt, Luigi Nono and Edgard Varèse all wrote electroacoustic music. From the early 1950s onwards, Cage introduced elements of chance into his music. Process music (Karlheinz Stockhausen Prozession, Aus den sieben Tagen; and Steve Reich Piano Phase, Clapping Music) explores a particular process which is essentially laid bare in the work. [vague] The term experimental music was coined by Cage to describe works that produce unpredictable results (Mauceri 1997, 197), according to the definition "an experimental action is one the outcome of which is not foreseen" (Cage 1961, 39). The term is also used to describe music within specific genres that pushes against their boundaries or definitions, or else whose approach is a hybrid of disparate styles, or incorporates unorthodox, new, distinctly unique ingredients. Important cultural trends often informed music of this period, romantic, modernist, neoclassical, postmodernist or otherwise. Igor Stravinsky and Sergei Prokofiev were particularly drawn to primitivism in their early careers, as explored in works such as The Rite of Spring and Chout. Other Russians, notably Dmitri Shostakovich, reflected the social impact of communism and subsequently had to work within the strictures of socialist realism in their music (McBurney 2004,[page needed]). Other composers, such as Benjamin Britten (War Requiem), explored political themes in their works, albeit entirely at their own volition (Evans 1979, 450). Nationalism was also an important means of expression in the early part of the century. The culture of the United States of America, especially, began informing an American vernacular style of classical music, notably in the works of Charles Ives, John Alden Carpenter, and (later) George Gershwin. Folk music (Vaughan Williams' Five Variants of Dives and Lazarus, Gustav Holst's A Somerset Rhapsody) and Jazz (Gershwin, Leonard Bernstein, Darius Milhaud's La création du monde) were also influential. In the latter quarter of the century, eclecticism and polystylism became important. These, as well as minimalism, New Complexity, and New Simplicity, are more fully explored in their respective articles. At the end of the 19th century (often called the Fin de siècle), the Romantic style was starting to break apart, moving along various parallel courses, such as Impressionism and Post-romanticism. In the 20th century, the different styles that emerged from the music of the previous century influenced composers to follow new trends, sometimes as a reaction to that music, sometimes as an extension of it, and both trends co-existed well into the 20th century. The former trends, such as Expressionism are discussed later. In the early part of the 20th century, many composers wrote music which was an extension of 19th-century Romantic music, and traditional instrumental groupings such as the orchestra and string quartet remained the most typical. Traditional forms such as the symphony and concerto remained in use. Gustav Mahler and Jean Sibelius are examples of composers who took the traditional symphonic forms and reworked them. (See Romantic music.) Some writers hold that the Schoenberg's work is squarely within the late-Romantic tradition of Wagner and Brahms (Neighbour 2001, 582) and, more generally, that "the composer who most directly and completely connects late Wagner and the 20th century is Arnold Schoenberg" (Salzman 1988, 10). Neoclassicism was a style cultivated between the two world wars, which sought to revive the balanced forms and clearly perceptible thematic processes of the 17th and 18th centuries, in a repudiation of what were seen as exaggerated gestures and formlessness of late Romanticism. Because these composers generally replaced the functional tonality of their models with extended tonality, modality, or atonality, the term is often taken to imply parody or distortion of the Baroque or Classical style (Whittall 2001). Famous examples include Prokofiev's Classical Symphony and Stravinsky's Pulcinella. Paul Hindemith (Symphony: Mathis der Maler) and Darius Milhaud also used this style. Maurice Ravel's Le tombeau de Couperin is often seen[weasel words] as neo-baroque (an architectural term), though the distinction between the terms is not always made. Impressionism started in France as a reaction, led by Claude Debussy, against the emotional exuberance and epic themes of German Romanticism exemplified by Wagner. In Debussy's view, art was a sensuous experience, rather than an intellectual or ethical one. He urged his countrymen to rediscover the French masters of the 18th century, for whom music was meant to charm, to entertain, and to serve as a "fantasy of the senses" (Machlis 1979, 86–87). Other composers associated with impressionism include Maurice Ravel, Albert Roussel, Isaac Albéniz, Paul Dukas, Manuel de Falla, Charles Martin Loeffler, Charles Griffes, Frederick Delius, Ottorino Respighi, Cyril Scott and Karol Szymanowski (Machlis 1979, 115–18). Many French composers continued impressionism's language through the 1920s and later, including Albert Roussel, Charles Koechlin, André Caplet, and, later, Olivier Messiaen. Composers from non-Western cultures, such as Tōru Takemitsu, and jazz musicians such as Duke Ellington, Gil Evans, Art Tatum, and Cecil Taylor also have been strongly influenced by the impressionist musical language (Pasler 2001a). At its conception, Futurism was an Italian artistic movement founded in 1909 by Filippo Tommaso Marinetti; it was quickly embraced by the Russian avant garde. In 1913, the painter Luigi Russolo published a manifesto, L'arte dei rumori (The Art of Noises), calling for the incorporation of noises of every kind into music (Russolo 1913). In addition to Russolo, composers directly associated with this movement include the Italians Silvio Mix, Nuccio Fiorda, Franco Casavola, and Pannigi (whose 1922 Ballo meccanico included two motorcycles), and the Russians Artur Lourié, Mikhail Matyushin, and Nikolai Roslavets. Though few of the futurist works of these composers are performed today, the influence of futurism on the later development of 20th-century music was enormous. Sergei Prokofiev, Maurice Ravel, Igor Stravinsky, Arthur Honegger, George Antheil, Leo Ornstein, and Edgard Varèse are among the notable composers in the first half of the century who were influenced by futurism. Characteristic features of later 20th-century music with origins in futurism include the prepared piano, integral serialism, extended vocal techniques, graphic notation, improvisation, and minimalism (Dennis and Powell 2001). In the early part of the 20th century, Charles Ives integrated American and European traditions as well as vernacular and church styles, while using innovative techniques in his rhythm, harmony, and form (Burkholder 2001). His technique included the use of polytonality, polyrhythm, tone clusters, aleatoric elements, and quarter tones. Edgard Varèse wrote highly dissonant pieces that utilized unusual sonorities and futuristic, scientific-sounding names. He pioneered the use of new instruments and electronic resources (see below). By the late 1920s, though many composers continued to write in a vaguely expressionist manner, it was being supplanted by the more impersonal style of the German Neue Sachlichkeit and neoclassicism. Because expressionism, like any movement that had been stigmatized by the Nazis, gained a sympathetic reconsideration following World War II, expressionist music resurfaced in works by composers such as Hans Werner Henze, Pierre Boulez, Peter Maxwell Davies, Wolfgang Rihm, and Bernd Alois Zimmermann (Fanning 2001). Postmodernism is a reaction to modernism, but it can also be viewed as a response to a deep-seated shift in societal attitude. According to this latter view, postmodernism began when historic (as opposed to personal) optimism turned to pessimism, at the latest by 1930 (Meyer 1994, 331). In the later 20th century, composers such as La Monte Young, Arvo Pärt, Philip Glass, Terry Riley, Steve Reich, and John Adams began to explore what is now called minimalism, in which the work is stripped down to its most fundamental features; the music often features repetition and iteration. An early example is Terry Riley's In C (1964), an aleatoric work in which short phrases are chosen by the musicians from a set list and played an arbitrary number of times, while the note C is repeated in eighth notes (quavers) behind them. Steve Reich's works Piano Phase (1967, for two pianos), and Drumming (1970–71, for percussion, female voices and piccolo) employ the technique called phasing in which a phrase played by one player maintaining a constant pace is played simultaneously by another but at a slightly quicker pace. This causes the players to go "out of phase" with each other and the performance may continue until they come back in phase. Arnold Schoenberg is one of the most significant figures in 20th-century music. While his early works were in a late Romantic style influenced by Wagner (Verklärte Nacht, 1899), this evolved into an atonal idiom in the years before the First World War (Drei Klavierstücke in 1909 and Pierrot Lunaire in 1912). In 1921, after several years of research, he developed the twelve-tone technique of composition, which he first described privately to his associates in 1923 (Schoenberg 1975, 213). His first large-scale work entirely composed using this technique was the Wind Quintet, Op. 26, written in 1923–24. Later examples include the Variations for Orchestra, Op. 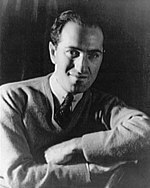 31 (1926–28), the Third and Fourth String Quartets (1927 and 1936, respectively), the Violin Concerto (1936) and Piano Concerto (1942). In later years, he intermittently returned to a more tonal style (Kammersymphonie no. 2, begun in 1906 but completed only in 1939; Variations on a Recitative for organ in 1941). He taught Anton Webern and Alban Berg and these three composers are often referred to as the principal members of the Second Viennese School (Haydn, Mozart and Beethoven—and sometimes Schubert—being regarded as the First Viennese School in this context). Webern wrote works using a rigorous twelve-tone method and influenced the development of total serialism. Berg, like Schoenberg, employed twelve-tone technique within a late-romantic or post-romantic style (Violin Concerto, which quotes a Bach Choral and uses Classical form). He wrote two major operas (Wozzeck and Lulu). The development of recording technology made all sounds available for potential use as musical material. Electronic music generally refers to a repertory of art music developed in the 1950s in Europe, Japan, and the Americas. The increasing availability of magnetic tape in this decade provided composers with a medium which allowed recording sounds and then manipulating them in various ways. All electronic music depends on transmission via loudspeakers, but there are two broad types: acousmatic music, which exists only in recorded form meant for loudspeaker listening, and live electronic music, in which electronic apparatus are used to generate, transform, or trigger sounds during performance by musicians using voices, traditional instruments, electro-acoustic instruments, or other devices. Beginning in 1957, computers became increasingly important in this field (Emmerson and Smalley 2001). When the source material was acoustical sounds from the everyday world, the term musique concrète was used; when the sounds were produced by electronic generators, it was designated electronic music. After the 1950s, the term "electronic music" came to be used for both types. Sometimes such electronic music was combined with more conventional instruments, Stockhausen's Hymnen, Edgard Varèse's Déserts, and Mario Davidovsky's series of Synchronisms are three examples. Burkholder, J. Peter. 2001. "Ives, Charles (Edward)." The New Grove Dictionary of Music and Musicians, second edition, edited by Stanley Sadie and John Tyrrell. London: Macmillan Publishers. Dack, John. 2002. "Technology and the Instrument". In musik netz werke—Konturen der neuen Musikkultur, edited by Lydia Grün and Frank Wiegand, 39-54. Bielefeld: transcript Verlag. ISBN 3-933127-98-X. Dufourt, Hugues. 1981. "Musique spectrale: pour une pratique des formes de l'énergie". Bicéphale, no. 3:85–89. Dufourt, Hugues. 1991. Musique, pouvoir, écriture. Collection Musique/Passé/Présent. Paris: Christian Bourgois. ISBN 2-267-01023-2. Emmerson, Simon, and Denis Smalley. 2001. "Electro-Acoustic Music". The New Grove Dictionary of Music and Musicians, second edition, edited by Stanley Sadie and John Tyrrell. London: Macmillan Publishers. Evans, Peter. 1979. The Music of Benjamin Britten. London: Dent. Fauser, Annegret. 2005. Musical Encounters at the 1889 Paris World's Fair. Eastman Studies in Music 32. Rochester: University of Rochester Press. ISBN 978-1-58046-185-6. Heyman, Barbara B. 2001. "Barber, Samuel." The New Grove Dictionary of Music and Musicians, second edition, edited by Stanley Sadie and John Tyrrell. London: Macmillan Publishers. McBurney, Gerard. 2004. "Fried Chicken in the Bird-Cherry Trees". In Shostakovich and His World, edited by Laurel E. Fay, 227–73. Bard Music Festival. Princeton: Princeton University Press. ISBN 0-691-12068-4; ISBN 0-691-12069-2. Machlis, Joseph. 1979. Introduction to Contemporary Music, second edition. New York: W. W. Norton. ISBN 0-393-09026-4. Meyer, Leonard B. 1994. Music, the Arts, and Ideas, second edition, with a new postlude. Chicago and London: The University of Chicago Press. ISBN 0-226-52143-5. Neighbour, O. W. 2001. "Schoenberg, Arnold". The New Grove Dictionary of Music and Musicians, second edition, edited by Stanley Sadie and John Tyrrell, 22:577–604. London: Macmillan Publishers. Nyman, Michael. 1999. Experimental Music: Cage and Beyond, second edition. Music in the Twentieth Century. Cambridge and New York: Cambridge University Press. ISBN 0-521-65383-5. Pasler, Jann. 2001a. "Impressionism". The New Grove Dictionary of Music and Musicians, second edition, edited by Stanley Sadie and John Tyrrell. London: Macmillan Publishers; New York: Grove's Dictionaries of Music. Pasler, Jann. 2001b. "Neo-romantic". The New Grove Dictionary of Music and Musicians, second edition, edited by Stanley Sadie and John Tyrrell. London: Macmillan Publishers. Politoske, Daniel T., and Werner Martin. 1988. Music, fourth edition. Prentice Hall. ISBN 0-13-607616-5. Ross, Alex. 2008. The Rest is Noise. London: Fourth Estate. ISBN 978-1-84115-475-6; New York: Picador Press. ISBN 978-0-312-42771-9. Russolo, Luigi. 1913. L'arte dei rumori: manifesto futurista. Manifesti del movimento futurista 14. Milano: Direzione del movimento futurista. English version as The Art of Noise: Futurist Manifesto 1913, translated by Robert Filliou. A Great Bear Pamphlet 18. New York: Something Else Press, 1967. Second English version as The Art of Noises, translated from the Italian with an introduction by Barclay Brown. Monographs in Musicology no. 6. New York: Pendragon Press, 1986. ISBN 0-918728-57-6. Salzman, Eric. 1988. Twentieth-Century Music: An Introduction, third edition. Prentice-Hall History of Music Series. Englewood Cliffs, N.J: Prentice-Hall. ISBN 0-13-935057-8. Schoenberg, Arnold. 1975. Style and Idea, edited by Leonard Stein with translations by Leo Black. Berkeley and Los Angeles: University of California Press. ISBN 0-520-05294-3. Schwartz, Elliott, and Daniel Godfrey. 1993. Music Since 1945: Issues, Materials and Literature. New York: Schirmer Books; Toronto: Maxwell Macmillan Canada; New York: Maxwell Macmillan International. ISBN 0-02-873040-2. Thomson, Virgil. 2002. Virgil Thomson: A Reader: Selected Writings, 1924-1984, edited by Richard Kostelanetz. New York: Routledge. ISBN 0-415-93795-7. Watanabe, Ruth T., and James Perone. 2001. "Hanson, Howard." The New Grove Dictionary of Music and Musicians, second edition, edited by Stanley Sadie and John Tyrrell. London: Macmillan Publishers. Whittall, Arnold. 2001. "Neo-classicism", The New Grove Dictionary of Music and Musicians, second edition, edited by Stanley Sadie and John Tyrrell. London: Macmillan Publishers. Williams, Alastair. 2002. "Cage and Postmodernism". The Cambridge Companion to John Cage, edited by David Nicholls, 227–41. Cambridge: Cambridge University Press. ISBN 0-521-78348-8 (cloth); ISBN 0-521-78968-0 (pbk). Wright, Simon. 1992. [verification needed] "Villa-Lobos, Heitor". The New Grove Dictionary of Music and Musicians, edited by Stanley Sadie and John Tyrrell. London: Macmillan Publishers. Ashby, Arved Mark (ed.). 2004. The Pleasure of Modernist Music: Listening, Meaning, Intention, Ideology. Eastman Studies in Music. Rochester: University of Rochester Press. ISBN 978-1-58046-143-6. Teachout, Terry. 1999. "Masterpieces of the Century: A Finale-20th Century Classical Music". Commentary 107, no. 6 (June): 55.
temp’óra - international network dedicated to the promotion of contemporary music. Data bases with thousands of links all over the world.